The internet isn't for the naive. It's a wild place of dangerous creatures like malware, scams, and hackers. And as any business owner, today would know, data is everything. If you or your employees browse the net unprotected, this valuable resource is threatened by cyber attacks. 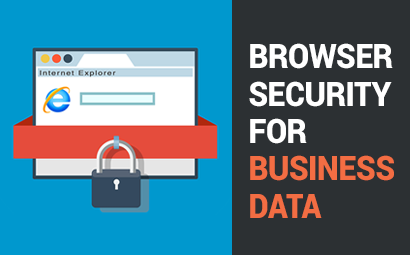 One way to protect your business' data is to secure your browsers. It is easy enough for every small- and medium-sized business to do. If you don’t like the idea of a third party (reputable or otherwise) being able to track your browsing habits, try installing a tool for private browsing. These programs offer protection against tracking by blocking third-party cookies as well as malware. Some extensions also boast secure Wi-Fi and bandwidth optimisation and can guard against tracking and data collection from social networking sites such as Twitter, Facebook or Google+. 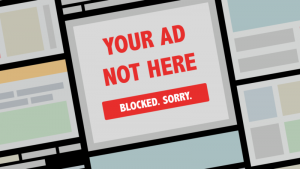 Many blockers contain additional features such as the ability to disable cookies and scripts used by third-parties on a site, the option to block specific items, and even options to ‘clean up’ Facebook and hide YouTube comments. The major blockers work with Google Chrome, Safari, and Firefox and you’ll be able to find everything from user-friendly solutions to more advanced tools that are customisable down to the tiniest degree. Commonly used in countries where the internet is heavily censored by the powers that be, a VPN allows for private browsing as well as enabling users to access blocked sites – in China’s case that’s anything from blogs criticising the government to Facebook and Instagram. There are hundreds of VPNs on the market so do a little research and find one that suits you best.